Ski Holidays to Pamporovo in Bulgaria 2017 & 2018. 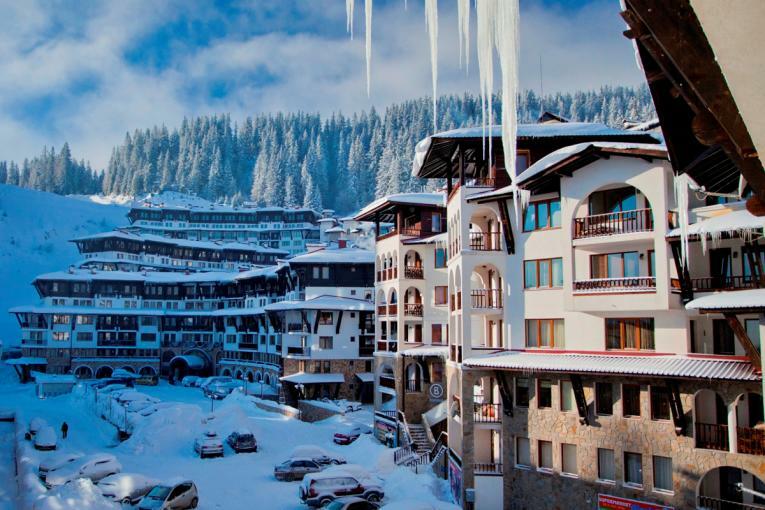 Pamporovo is a popular ski resort set in the Rhodope Mountains in south-eastern Bulgaria. The resort lies within spectacular pine forests at an altitude of 1620m above sea level and offers enjoyable holidays because of its good quality accommodation, ski school and lively atmosphere and recent investments have updated the resort significantly. If you holiday here you will experience a different type of skiing holiday away from the alpine resorts, where you can enjoy the southern Bulgarian mountains in all their splendour. Pamporovo enjoys sunny winters but averages 150 days of snowfall each year, making the skiing season a long one. The resort has 25km of piste runs, 38km of cross-country and 18 lifts which have been updated and are extremely efficient. 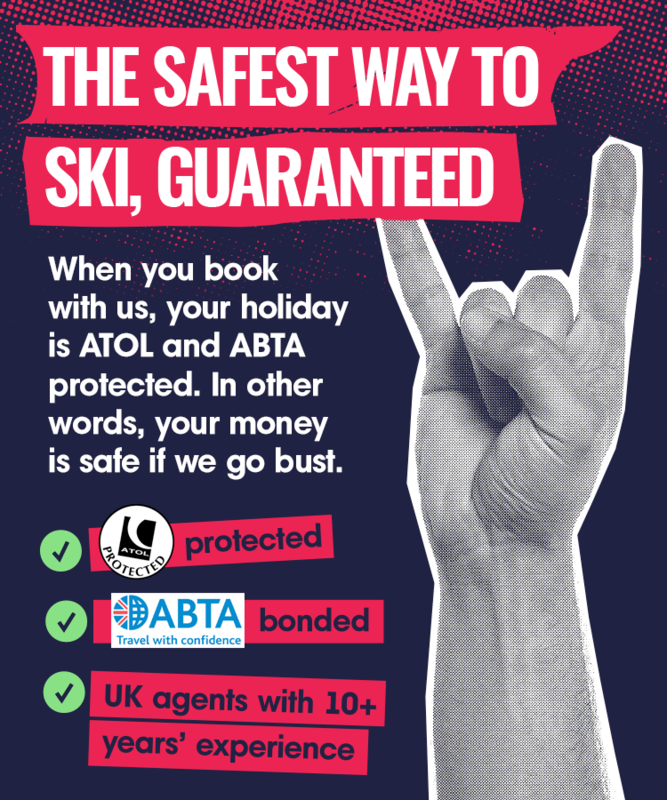 The ski resort is ideal for beginners and intermediate skiers who are looking for some slopes on which they can hone their skills. The mountain of Snejanka offers rounded slopes suitable for less confident skiers but also some more difficult runs for the more advanced. The resort offers a fantastic ski school with patient and enthusiastic instructors who can speak several languages. The runs themselves are all in excellent condition and are well maintained. Beginners and intermediates will enjoy the wide, tree-lined runs through the pine forest and will quickly gain confidence to tackle some of the more challenging runs. The major runs all start from the peak of the mountain and there is some excellent off-piste skiing and snowboarding available. For activities besides skiing or snowboarding, Pamporovo is a perfect base from which to explore the surrounding area. Pamporovo is 16km north of Smolyan, an incredibly picturesque town lying in the narrow gorge of Cherna River and well worth a visit. The town is one of the largest in the region and has a modern town centre, but there are some wonderful pieces of architecture to see, a museum, an art gallery and some local traditions to sample. Pamporovo is also 85km north of Plovdiv, the second largest city in Bulgaria and you can take an excursion here from the resort. This city is situated in the southern part of the Plain of Plovdiv, with the Rhodope Mountains surrounding the plain from the south. This city has a huge number of ancient remains, such as medieval walls, a Roman theatre, Ottoman baths and mosques, amongst others. There is also a worthwhile excursion to Bachkovo Monastery, founded in 1083, which makes for a very interesting visit. Exploring these towns will add another layer to your holiday and you can return to the smaller resort of Pamporovo to relax in the evening. Eating out in Pamporovo is an enjoyable experience. There are many opportunities for you to try the local specialities, such as spit roast lamb at the ‘Chervemeto’. ‘Chavone’ on the outskirts of the town is another highly recommended place to try out authentic Bulgarian food. ‘The Lodge’ is a good place to eat if you fancy a spot of lunch on the slopes. Other dining options include the ‘Red Sun Chinese’, the ‘Bulgarian Barbecue and Grill’ and an Italian restaurant in the Perelik. You can even head up the TV tower on top of the mountain and eat up there, offering spectacular views and on a fine day you can even see as far as Greece. 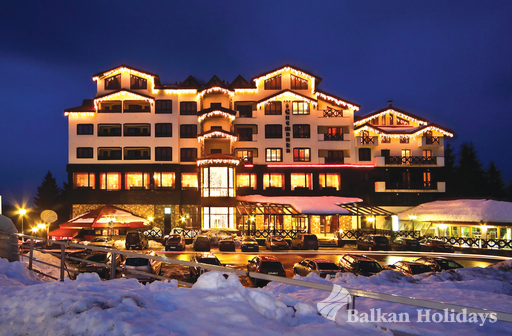 Pamporovo is a great place for apres ski, with some lively nightspots. ‘BJ’s Bar’ is the most popular place in town, while other lively bars with some club nights can be found in other hotels such as ‘Daks’ in the Snezhanka Hotel. There is an ‘Irish Bar’, a ‘Greek Taverna’ and the ‘White Hart’ pub, which also offer great value for money. At the ‘Bulgarian Barbecue and Grill’ you can also witness some traditional Bulgarian customs, such as walking on hot coals. In the ‘Hotel Perelik’ there is also a modern bowling alley, popular for a fun night out, especially with families. There are also a variety of shops in Pamporovo, great for buying souvenirs and a shopping area in the Perelik and Murgavets hotels. 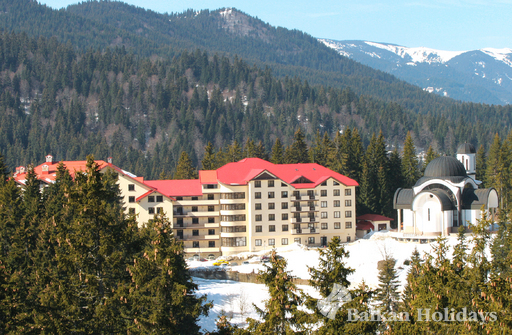 Pamporovo is a beautiful resort set in a stunning location. Skiing here is hugely enjoyable and great for beginners and intermediate skiers. The resort has excellent facilities and a wide variety of options for dining out, as well as being in a good location to explore the surrounding area if you fancy a break from skiing.